When I very young I used to wait in anticipation for a British horror comic called Scream to hit my local newsagents in Abronhill. Normally only three copies would hit the shelves and I would be at the store at 9am to make sure that I was one of the children that were going to get their hands on the new edition. Usually there was a free gift accompanying each issue. Sometimes it was Dracula teeth, a fake spider or eyeball etc. The stories were fairly gruesome for kid’s fair with psychotic hunchbacks, poltergeists, bloodthirsty vampires and haunted houses. I loved it. Then it was pulled from the shelves, probably due to poor sales. I kept my copies and would read them over and over. Creepshow is so much like that comic and for the most part is a hilarious fun ride of gruesome scares and laughs in equal measures. It was the brainchild of Stephen King, George A Romero and producer, Richard P Rubenstein and based on the old DC horror comics. It also remains Romero’s highest grossing film at the box office. The film consists of five stories tied together by a short tale of a vulnerable boy who has his favourite horror comic confiscated by his oafish father. Father’s Day involves the return from the grave of a mean and repulsive old patriarch whose family fortune was accrued by dubious means. It seems he has unfinished business with his siblings for his untimely death and to claim his cake. Ed Harris makes an early career appearance and some groovy dance moves as the great granddaughter’s husband, Hank. Father’s Day is an amusing and solid enough first story but does not really grip or engage the viewer. For me the second story, The Lonesome Death of Jordy Verrill is the weakest of the bunch. On one of the disc’s extra features Romero explains that he advised Stephen King to overplay his titular character as far as he pleased. The director was delighted with the results, a viewpoint I cannot agree with. 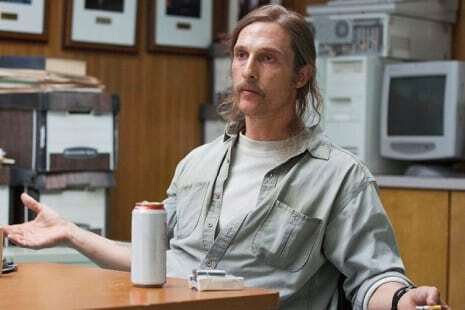 King’s performance reveals his shortcomings as an actor and his comical timing is for the most part awful. The tale is solid enough with Verrill tormented by a fast growing, extraterrestrial weed that sprouts from everywhere when he touches a piece of space rock. 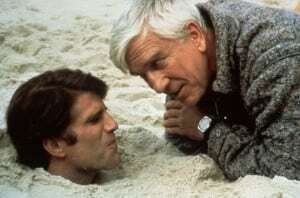 Something to Tide You Over has the hilarious Leslie Nielson, playing a rich sociopath who gets more than he bargains for when he undertakes a sadistic form of revenge on his cheating wife and her lover (Ted Danson). He realises that all his sophisticated security cameras and equipment are no match for justice. The middle segment has some fantastic moments and a superb electronic score which was used Eli Roth is his fake trailer, Thanksgiving in Grindhouse (2007). 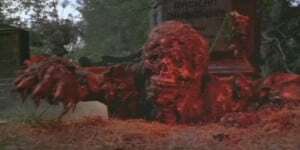 The Crate will likely be the part that most people who have watched Creepshow will remember. Hal Holbrook plays Henry Northrop, a burnt out college lecturer who is hen-pecked by his alcohol swilling and overbearing wife, Wilma (Adrienne Barbeau). When his colleague and chess partner, Dexter Stanley (Fritz Weaver) uncovers a crate with a hungry yeti like beast, Henry sees an opportunity to dispose of his abusive spouse. Tom Savini showcases his special effect prowess in his wonderful, toothsome creation. They’re Creeping Up on You is the final story and arguably the best of the ensemble. E. J. Marshall portrays a horrendous and sadistic businessman called Upton Pratt that has made a fortune out of steamrolling and destroying the lives of those around him. When a black out hits the city, Pratt finds that he is not alone in his sterile and high security penthouse suite. If the saying of ‘what goes around comes around’ is accurate then this businessman is in for a night of sheer hell. Although the final chapter has some great comical moments, this is by far the creepiest of the tales and features a horrific final image that still makes me shiver. It rightfully appears in Bravo’s 99 Scariest Horror Movie Moments. Where as most horror anthologies are patchy and uneven, Creepshow benefits from having the one director and writer taking the reigns. All the stories are filmed and sound very similar which only enhances the project. Romero cleverly decided to incorporate the frames and bold colours that one would associate with a comic book. The score is also beautifully constructed with a mix of 80’s synthesizers and old-fashioned organs. The tales themselves are not particularly gripping or clever yet they are fun and enthousiastic. The final segment, They’re Creeping Up on You was the almost scrapped due to budget constraints. This would have been a travesty as this is perhaps the most efficient mix of scares and laughs with an incredible performance from the late E.G. Marshall. You end up cheering on the repellent cockroaches as they invade his personal space. 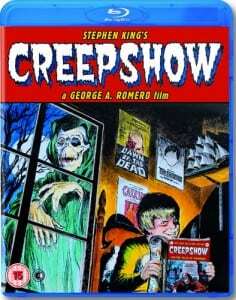 Although films like Asylum, Black Sabbath, Cat’s Eye and Tales from the Crypt have stronger individual stories, Creepshow has the strength of being expertly made with a superb cast. It is gruesome, full of energy and affectionately reflects on the essence of those old DC horror comics. It is a shame that the sequels were unable to discover the same energy. GET READY FOR THE MOVIE EVENT OF THE YEAR……NOT!!! !